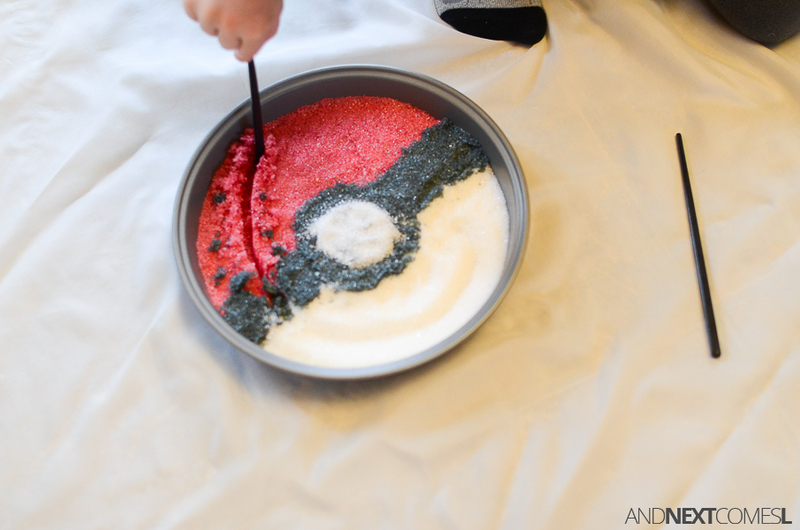 You may have noticed that we're a bit Pokemon crazy here and have done quite a few Pokemon activities and crafts lately. 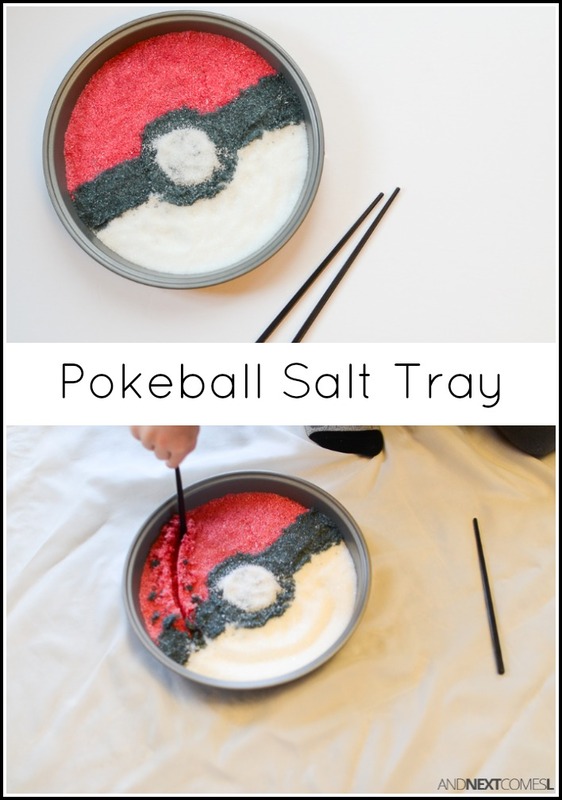 I recently put together this Pokeball salt tray activity for kids that encourages mark-making and writing practice. It's great for prewriters, but also for little Pokemon fans that may be resistant to writing or practicing spelling words. It's an appealing invitation to write! 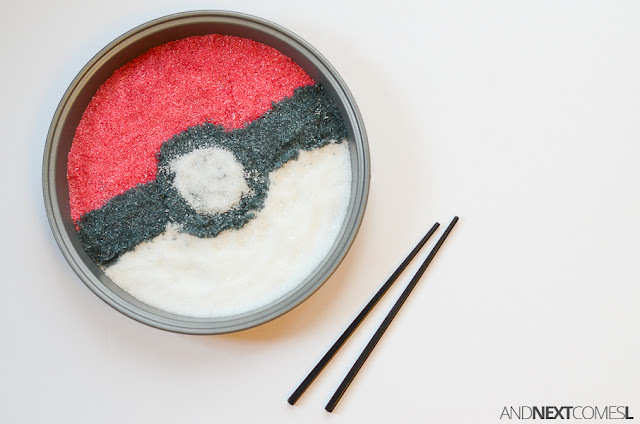 Pokemon Activity for Kids: Make a Pokeball Inspired Salt Tray for Writing Practice! Epsom salt - Regular table salt works well too! In a small zipper seal bag, add some epsom salt (how much you use will depend on how large your tray or pan is) and a few squirts of red liquid watercolor. Repeat the process with a smaller amount of epsom salt and black liquid watercolor. Vigorously shake both bags until the color is evenly distributed. The kids love helping with the shaking part! Arrange the epsom salt in the tray like a Pokeball using the red dyed salt, black dyed salt, and plain epsom salt. 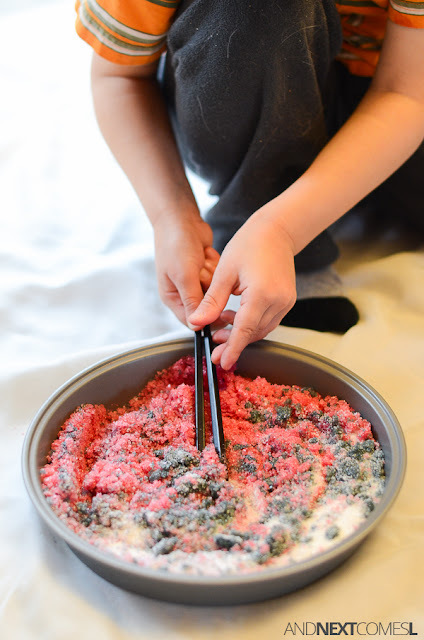 Offer chopsticks as a drawing utensil or let the kids draw using their fingers. 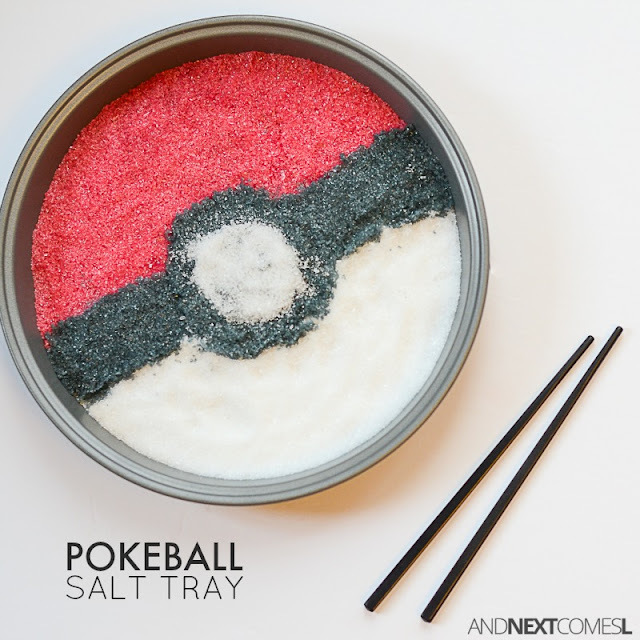 The Pokeball won't last long. Before long, the colors will all become swirled together. 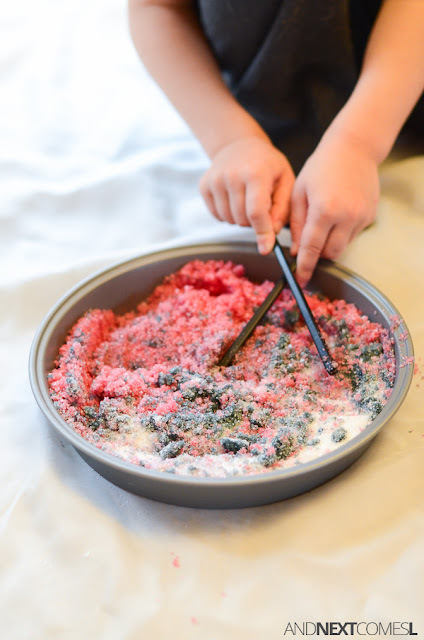 However, the original salt tray might just be inviting enough for kids to practice spelling sight words, especially if they are resistant to writing and spelling. Regardless, it's a great way to work on fine motor skills with kids.